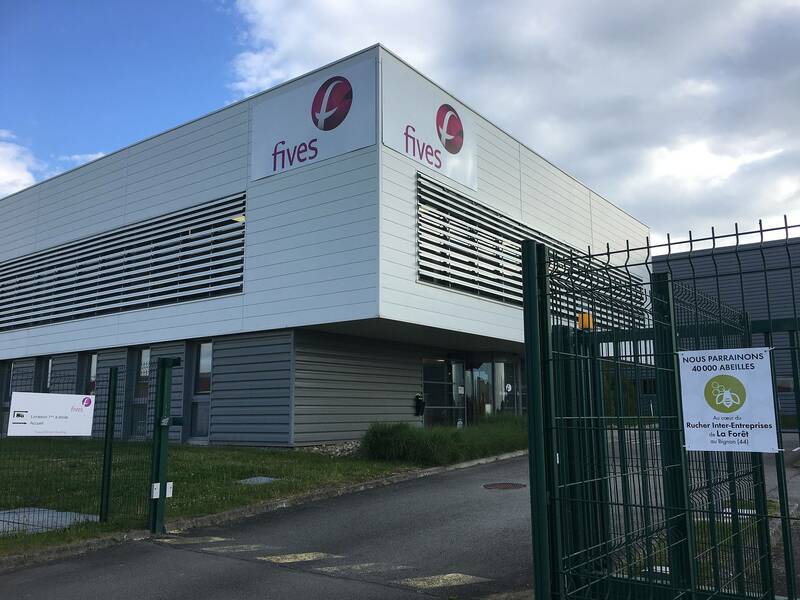 Fives Filling & Sealing is taking part to a unique initiative in western France and a pioneer project in the country! The subsidiary is associated with a dozen of companies located in the La Forêt industrial estate at Le Bignon (western France) to sponsor a bee hive within the first Inter-Firms apiary. Beginning of May, bee hives were opened and a colony of about 400 000 bees will settle there. In return, the production of honey will be available in September 2018, and our colleagues will enjoy a hundred of pots, their special Fives Filling & Sealing batch, while contributing to protecting bees!